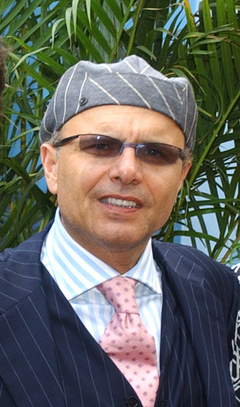 In case you didn’t know, the guy in the pic above is Joe Pantoliano, more commonly known as Joey Pants (though I remember him best as Cypher from the Matrix). Now this post isn’t about me being a fanboy, because there are plenty of other people I could be a fanboy about (like Johnny Depp, Jason Statham or Ray Park). Fact is, he’s doing something very cool. He’s using his celebrity status to try to reduce the stigma of mental illness through his website NKM2.org. For those of you who don’t know what celebrity status can do for…well anything…just look at Twitter (Ashton Kutcher, anyone?). He’s also doing something else that I didn’t expect. He’s video chatting with the folks: people like you and me who have some history of mental illness (personally I had an anxiety disorder and an internet addiction). Last Saturday he did a live chat where he answered questions, and got really specific about how mental illness affected him, and how he plans to remove the stigma through his documentary. If you don’t have time to view it, that’s cool, but you’d be missing out. I have a few of his quotes from the chat that I thought were pertinent (shown in italics). I thought this was very cool, because how many times have you said, “If I could just have this, I’d feel better.” Clearly, his experience is case in point that possessions have nothing to do with happiness or mental wellness. You can’t shop your way to feeling better (I’m looking at you, shop-a-holics). He went on to talk about the documentary he made (No Kidding, Me Too, Premiering in New York on October 19th), about his experiences with AA and how he worked on his emotional state through therapy and 12-Step Programs. This is why therapy is necessary to begin with. Because sometimes, you don’t have someone to talk to about your problems. Without someone there to empathize or understand where you’re coming from, and work with you toward managing your problems, you only have your own head to work out your stuff. Hence why I think he opened up the dialogue about making mental illness cool to talk about. He shared his personal experience, his own trials and how his life has been dramatically improved through use of counseling and medication. I can resonate with this, and that’s why I feel like I’m an expert in Anxiety Management: because I’ve been there with the Panic Attacks and the difficulty breathing, and I found a way to work through it. That method has helped a lot of the people I work with today. Same thing with Internet Addiction. It ate up hours and hours of my life, and I’m currently working on a plan to help people with that too (that doesn’t involve the internet…its harder than it sounds). Another part about that statement is getting better. I can’t tell you how many therapists talk to me and tell me that their clients are never going to change. How sad is that? The one person who could be a bastion of hope for a client, and even that person doesn’t believe that they’re going to get better. That’s why my approach is all about improving and getting better. Some clients don’t like this, but that’s ok, because perhaps they’re not ready for that change yet. …then what the heck is stopping you? Are you worried about what people will think? Guess what? You can’t change what people think (unless they’re open to that change). The first step of managing any problem is accepting the fact that you have one. Its ok, everyone has problems from time to time. But the key is to get the help you need. Exactly. I just so happen to be a clinician. You know, in case you’re interested. Joe is now off doing a NKM2 tour in Iraq and Kuwait to show the movie to the soldiers there, to help them open up about possible mental illness as a result of being in combat. That relates to me too, because Tricare (the health insurance for the Millitary) just put me on the fast track so I can be on their telemedicine program, which allows me to do therapy with troops over video chat. Can I tell you the geek in me is doing a freaking happy dance over the idea? He’s not the only one trying to make mental health mainstream. Stop And Think Radio is trying to do a similar thing with recovery and addiction, only they’re doing radio and TV stuff instead (they interviewed a really cool therapist by the way 😉 ). Anyway, I just thought you might find this interesting, and maybe it will get you to think about starting a discussion as well. Like down here, for example, in the comments section. Talk to me about what you think, and if you think we can reduce this stigma. What has to happen? Can mental health be cool? Talk to me people. P.S. – Seriously check out the NKM2 site and the video chat. Informative and entertaining at the same time.